Jessica Brown Findlay follows in the steps of Florence Welch and Lizzie Jagger and Alice Dellal as the new campaign girl for jeweller Dominic Jones. The Downton Abbey star, who plays Lady Sibyl in the ITV drama, can be seen in the latest campaign for the jewellery brand’s sixth collection. The shoot has a definite Gothic theme with Brown Findlay styled with chalky make-up matched with brown smokey eyes, wearing varying white sheer lace dresses. 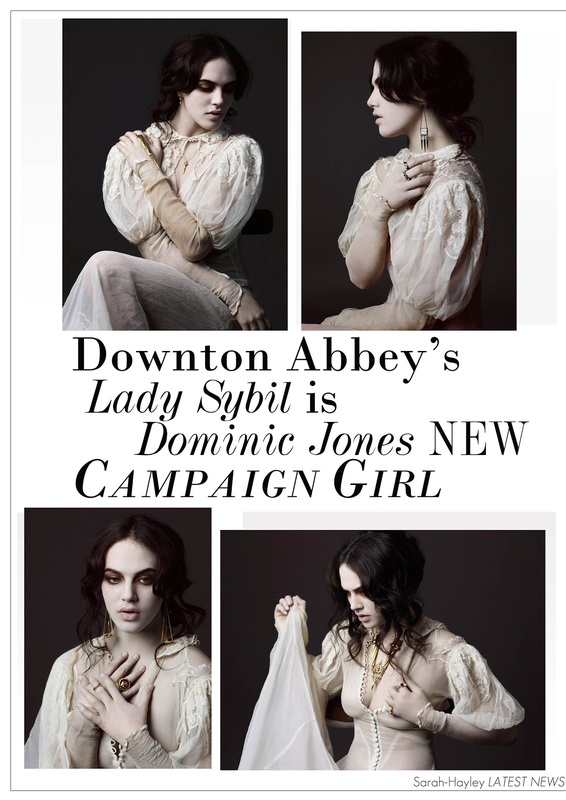 I think it is a very alluring campaign and she looks every inch the aristocratic, English rose as is her Character in Downton.